Sunday, traditionally a time to relax and reflect with friends and family can also be a time to replenish – preferably with food and drink – whether at home, or a place of gathering. In the Triangle Area, such locations abound. Belle, Traveler and I often use Sundays to explore new and interesting places that give us opportunities to inform our readers, providing them a variety of options. On occasion, we have gone to extremes, while on other occasions we have found options close to our base-of-operation. The example provided here is of the latter, surprisingly. 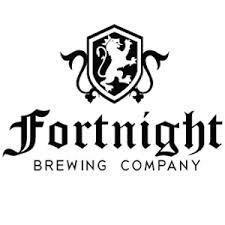 Many of you are familiar with one of the Triangle’s esteemed breweries called, Fortnight Brewery, located in Cary, where locally handcrafted, English-styled ales are drawn for thirsty patrons to appreciate. The Friends of Triangle Street Eats are themselves, no strangers to this uniquely popular draft house, where regulars can sample English inspired ales while admiring the ‘brew-engines’ through huge, unobstructed glass panes. Most nights, patrons can also enjoy a rotating fare from popular Triangle food trucks. Recently however, Sundays have become somewhat special with a distinct difference. Fortnight has introduced the carvery, from Trali Irish Pub in Brier Creek, which consists of a roast beef, Yorkshire pudding, braised carrots and leeks and two kinds of potatoes – all for $12.50. Prepared by Chef Eamonn Kelly, this carvery luncheon will please the most discerning palate, as well as satisfy a ferocious appetite. The roast beef is served with gravy so delicate, that it lightly clings to the meat, almost like a glaze, providing a medium that enhances the flavor, instead of smothering it. According to Belle the Yorkshire pudding was perfect! Owners of Trali Irish Pub, Martin and Beth Mahon were on hand to talk with patrons, and were very eager to discuss with us other foods and events they have at their Brier Creek, and recently opened location in Morrisville. They also explained they planned on making this a Sunday tradition for the foreseeable future. 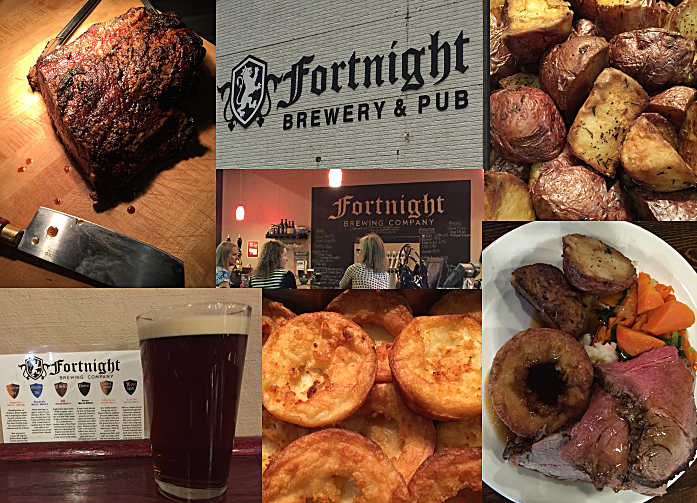 If you are looking for something distinctive, as well as unexpected, stop by Fortnight Brewery one Sunday – between 1 and 5 pm. There are sandwiches and children’s portions available as well. Arrive early and you can take Fortnight’s complementary brewery tours at: 2, 3 and 4 pm as well. Bonus!